Fear has gripped the parish of Westmoreland, which is now teeming with security personnel as marauding gunmen went on a rampage in the parish, killing eight persons in separate incidents there, over a 24-hour span. The police high command is reported to have deployed additional personnel to the parish to boost the efforts of crime-fighters in the wake of the murders. The deceased are a man identified only as ‘Chucky’, 19-year-old Ronaldo Campbell of Cooke Street, 34-year-old Corey Parkins of Cascade, Hanover, 23-year-old Coran Birch of Woodsville, Hanover, 21-year-old Jahmar Warren of Grange district in Westmoreland, 18-year-old Dean Smith, otherwise called ‘Eric’ Labourer of New Market Oval, Patrick Campbell, otherwise called Quatro – unemployed of Jane Marks Road, Westmoreland and 24-year-old Ojari Romans, a farmer of Cedar Valley, Westmoreland. In the latest in the series of murders, a man known only as ‘Chucky’ was shot dead about 8:17 a.m. on Tuesday by an unknown assailant in Llandillo in the parish. The Police were summoned and ‘Chucky’ was taken to hospital where he was pronounced dead. A mere 13 minutes later, crime sleuths were summoned to another homicide scene at Lewis Street, Savanna-la-Mar, where 19-year-old Ronaldo Campbell was shot dead by unknown assailants. Reports are that Campbell was standing at a premises when he was approached by three armed men who opened gunfire hitting him. He was taken to hospital where he was pronounced dead. However, the murder spree began on Monday, at Coke Street about 1:15 p.m. when 18 year-old Dean Smith, otherwise called ‘Eric’, was sitting in front of a shop when a white Toyota Axio car drove up and stopped. Four men armed with guns alighted and opened fire at Smith hitting him in his upper body after which they left in the same car. The police were summoned and upon arrival, Smith was seen lying face down in a pool of blood with what appeared to be multiple gunshot wounds to his head, neck and abdomen. He was transported by the police to the Sav-la-Mar Public Hospital, where he was pronounced dead. 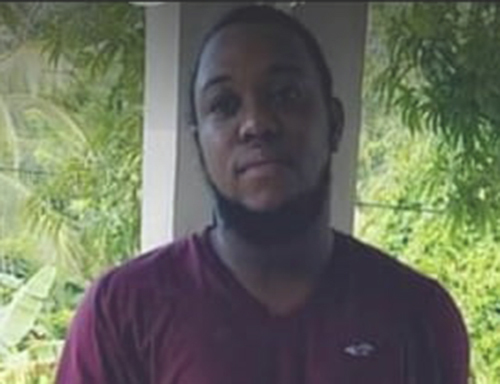 Just under three hours later at Fullersfield, residents stumbled upon Campbell lying on the side of the road and summoned the police who, upon arrival, saw him lying on his back with what appeared to be gunshot wounds to the left side of his neck. He was taken to the Savanna-la-Mar Hospital where he was pronounced dead. And, crime sleuths were further kept busywhen they were again called to active duty following reports that five persons who were among a group of patrons at a bar in Williamsfield about 11:15 p.m. were shot by unknown assailants. Reports indicate that four armed men alighted from a Toyota Voxy motor vehicle, entered the premises and opened gunfire. The police were summoned and on their arrival, the victims – three men and two women – were taken to hospital. Parkins, Birch and Warren were pronounced dead, while the women have been admitted to hospital. Meanwhile, at 7:15 a.m. on Tuesday, a passerby traversing a dirt path located in front of Romans’ house, reportedly saw him lying on the roadway suffering from what appears to be gunshot wounds. The police were summoned and the victim subsequently taken to the Savanna-la-Mar Public Hospital where he was pronounced dead. Residents reportedly heard gunshots about 10:15 the previous night but made no report to the police.